Importance and occurence of salt-affected soils: Farmers and gardeners in semi-arid and arid regions of the world face two associated but separate problems, which limit the crops they can grow and the yield of these crops. The underlying problem is lack of rainfall needed for growing plants. The second is accumulation of salts in the root zone. The two are interrelated, but do not necessarily occur together. As noted by Epstein (1976), our planet is a very salty place. About 70 percent of the earth’s surface is covered by oceans. A third of the land area is semi-arid or arid, half of which has highly saline soils. The saline soils of the world’s arid and semi-arid regions tend to restrict the crops that can be grown. Salinity characteristically occurs in areas where evapotranspiration (water transferred to the air from plants, soil and other surfaces) exceeds rainfall. But greater evapotranspiration than rainfall does not always lead to excess salt accumulation within the plant root zone. Conversely, in some situations, salts are concentrated enough to adversely affect plant growth even though rainfall exceeds evapotranspiration. The latter can include soils reclaimed from marine sediments; areas of high mineral weathering; areas of mine spoil; and coastal areas subject to salt water intrusion or receiving salt spray, storm surge, or tsunami damage. These soils can be important locally, but seldom occur over large areas. We will deal in this paper with the more extensive salt-affected soils of arid and semiarid regions of the world. In most cases, the remedial techniques discussed will be equally effective solutions to the cultivation of these more localized soils. Adverse effects of excess salts: Plants need a certain amount of soluble salts, but excess salts in the root zone reduces plant growth by altering water uptake. When the salt content of soil water is greater than that of the water inside the plant cells, the plant roots cannot absorb the soil water. They may even lose water to the soil. Excess soil salts can also cause ion-specific toxicities or imbalances. In some cases, the cure for these problems is to simply improve drainage. However, salinity problems are often more complex and require proper soil management as well as use of salt tolerant crops. Excess salts pose a multi-faceted challenge. Many factors influence constraints to crop production due to salinity. With few exceptions, salt-affected soils contain some combination of calcium (Ca), magnesium (Mg), potassium (K), sodium (Na), chloride (Cl), sulfate (SO4), carbonate (CO3 or HCO3), and sometimes nitrate (NO3). The soil can be either alkaline or neutral, depending on the mix of ions and their interaction with the mineral portion of the soil. Proper management of the soil for plant growth depends on the mix of these factors as well as the amount of salt present. Ideally, the soil’s chemical properties would be analyzed before a management program was established. Practically, though, this is unlikely to be done on smallholder farms. Soil properties influencing salt-related problems: Fortunately, some soil characteristics occur on a scale large enough to be named and classified, and soils with similar traits will usually require similar management practices. Soil scientists have developed taxonomic systems to classify soils, but soil taxonomy is not uniform internationally. For this reason, we will not use taxonomy as a basis of discussion. The reader should, however, become familiar with the soil taxonomic system of the country in which he/she is working. Soil taxonomy categorizes information about soil properties, just as plant taxonomic designations carry information about biological materials. The taxonomy of salt-affected soils is based on such factors as pH, sodium content, and soluble salt content, in addition to soil moisture. All of these factors affect the type of crops that can be successfully grown on the soil, so knowing the type of soil in your location can be a first step in designing a management program. Regardless of the taxonomic system used, some common terms are generally used to describe soils. Some of the terms associated with salt-affected soils (used in this paper) are listed in the appendix for reference. To better understand how salt-affected soils are formed, and how to manage them, it helps to be familiar with units of measure commonly encountered in the literature. The only true way of measuring soil salinity is in the laboratory, which is both costly and time consuming. Consequently, soil electrical conductivity (EC) has been widely used to estimate the salinity level. Pure water has very low EC, and EC increases as the salt concentration in soil water rises. Though other factors (e.g. charged soil particles) influence EC besides just salinity, EC provides a useful estimate of the amount of soluble salts in soil. Most of the research data cited in the remainder of this document are expressed as EC. Two different units of measurement are commonly used to express EC: millimhos/cm (mmho/cm) and deci Siemens/m (dS/m). They are identical measurement terms. Historically, it was easier to measure resistance of soils than to measure EC. Resistance is measured in ohms and is inversely proportional to conductivity, so soil conductivity was expressed as 1/ohm, or “mhos.” Late last century, soil scientists became concerned that a variety of terms had been invented to describe soils, and they were not in agreement with the International System (IS) of units, which expressed conductivity as Siemens per meter (S/m or S m-1). Since 1 mmho/cm is equal to 0.1 S/m, for the sake of clarity and ease of conversion between units, soil scientists settled upon expressing soil conductivity as dS/m which is the same as the “old” mmho/cm (1 mmho/cm = 1 dS/m). Several other units, such as those used to describe sodium levels, are explained as they appear in the content that follows. The processes by which salt-affected soils are formed impacts their properties. These attributes, in turn, determine which plants can be grown, how the soil should be utilized and managed, and how readily it can be reclaimed from adverse effects of excess salts. Based on their properties, salt-affected soils are categorized as saline, sodic, or a combination of the two. It is estimated that, of the cultivated land area in the world, 23% is saline and 37% is sodic (Shahid and Al-Shankiti, 2013). Features and formation processes of these soils are discussed below. Saline soils contain enough salts to negatively impact the growth and yield of most crop plants. The degree of salinity at which yields decline varies depending on the crop. In highly saline soils, only salt-adapted plants can survive and grow. Minerals such as calcium and magnesium are present in sufficient amounts to keep sodium from adversely affecting soil properties, as explained later in this section. Thus, despite the presence of excess salts and their crop limiting effects, a saline soil still has a well-defined structure and is well drained. Saline soils most commonly exist in dry, low-lying areas with restricted drainage, such as occur along the Nile river system in parts of northern Sudan and Egypt. In humid areas, precipitation exceeds evaporation. Rivers and streams flow continuously, filling ponds or lakes and then departing through an outlet stream. In arid regions, however, evaporation exceeds precipitation. Instead of filling and exiting a basin area, water accumulates and then evaporates, leaving behind the minute amounts of minerals collected from the landscape around the basin. Over time these minerals build up until even halophilic (salt-tolerant) plants cannot survive, and a “salt flat” has formed. Saline soils can also form in locations, such as in low-lying areas along the Berg River system in South Africa (Flugel 1991), where salty ground water reaches the soil surface. This occurs in areas of saline seeps and saltwater intrusion. These soils are usually of limited extent, and the situation is one that can be reversed (although not easily). In the case of saline seeps, reversal requires a land management program that lowers groundwater levels in conjunction with enough irrigation or rainfall to flush the salts from the soil. Saltwater intrusion most frequently occurs when an overlying layer of fresh ground water is exhausted by pumping rates in excess of fresh water recharge rates. This affects coastal aquifers in drought-prone African countries such as Egypt, Mozambique, and Nigeria (Steyl and Dennis 2010). Steps such as increased use of drip irrigation can be considered to conserve water and thereby reduce pumping rates. Decreased pumping rates may allow fresh water to re-accumulate, depressing the saltwater surface, but the saltwater contamination of the sediments will remain. In coastal areas, inland migration of saltwater can be minimized by the restoration of natural barriers (e.g. sand dunes and mangroves) or the establishment of dykes (UNDP 2011). Subsequent removal of residual salts from the soil occurs as fresh water leaches salts below crop root zones. Mulching and terracing help retain rainwater on the land to flush excess salts and recharge freshwater aquifers. Soil salinization can also occur when land has been irrigated with water high in salts, without adequate controls on water use. It is estimated that 20% of irrigated land (62 million hectares) is salt-affected (Ghassemi et al. 1995; Metternicht and Zinck 2003). Areas where irrigated land has been adversely affected by salinization include the Indo-Gangetic (India) and Indus (Pakistan) basins. Fortunately, saline soils can often be reclaimed by growing halophytes (salt-tolerant plants) and irrigating with lower salt content water. Sodic soils: Nearly half of the salt-affected soils in the world are sodic. Areas where sodic soils occur include South America (Argentina, Paraguay and Brazil), southern Asia (India and Bangladesh) and Africa (Chad, Nigeria, Somalia, Sudan, Tanzania and southern Africa) (Huang et al. 2011). As the name implies, these soils contain an abundance of sodium. Sodic soils result from a combination of processes, which are best understood based on an awareness of the distinction between free and bound salts. Free salts are a mix of positive (cations) and negative (anions) ions that move freely in soil water, also known as the soil solution. In contrast, cations that are loosely bound or adsorbed to the negatively charged surfaces of soil particles do not move freely in soil solution. Cations adsorbed on soil particles, however, can be replaced or exchanged one for another. The extent to which this happens depends in large part on the charge of the cations involved and the concentrations of cations in soil solution. The first step in the formation of sodic soil happens when salt accumulates within the solum (soil profile). These salts are the product of sodium-rich parent material, capillary rise of shallow saline groundwater, or evaporation of salty water during dry periods. Water then periodically moves through the solum, removing free salts by washing them through the soil profile. Soil becomes sodic when more than 15% of the exchangeable cations are sodium ions; this percentage is referred to as the ESP (exchangeable sodium percentage) of a soil. A sodic soil is also described by a sodium adsorption ratio (SAR) of more than 13 (the SAR describes the concentration of sodium ions in comparison to that of calcium and magnesium). Sodic soils suffer from poor soil structure. The large sodium ions disrupt the ability of soil particles to stay together. At the same time, because free salts have been leached, cations that help soil particles to aggregate (stick together) are in short supply. When clay particles move far enough apart, they separate or disperse, especially when moisture received via irrigation or rainfall is low in salts (Murphy, 2006). Salt removal, by the movement of water through the soil, leads to the dispersion of clays when the soil’s total soluble salt declines to less than about 0.1 to 0.15 percent. Finally, sodium carbonate (Na2CO3), typically present in arid soils, reacts with water to form hydroxide (OH-) ions, increasing soil pH (Abrol et al. 1988). The end result is the development of an increasingly impermeable subsoil (Bui et al. 1998; Indorante, 2006). Thus, plants are affected more by poor soil aeration and by insufficient calcium and magnesium than they are by high sodium levels. Sodic soils can be productive if they are managed properly, but are among the more difficult arid soils to reclaim for agricultural purposes. The surface tends to form a hard crust when dry. This restricts infiltration of water and impedes emergence of seedlings. Surface sealing also makes these soils susceptible to erosion, with associated loss of land productivity and contamination of waterways. In addition, the dispersed clays tend to move downward in the profile and form a dense impermeable subsoil, which causes waterlogging of the surface and restricts root growth downward into the solum (Murphy, 2006). The susceptibility to erosion means that the dense impermeable layer often becomes exposed. The dispersed clays in the subsoil are even more susceptible to erosion, so both sheet and gully erosion are common in these soils. Because of this, sodic soils are often best suited for pastures using native grasses (Bui et al. 1998). Saline-sodic soils have characteristics of both the above types of soil. They have both a high SAR and accumulations of excess salts. Saline soils: As indicated above, saline soils are theoretically the easiest to remediate. Making these soils conducive to plant growth simply requires the removal of excess salts. Unfortunately, under most conditions this is, practically, not an easy process. Salt removal requires use of water, and water supplies in these areas commonly contain salts picked up from the soils in the watershed. Thus, unless a high quality water supply is available, special precautions must be taken to ensure salt removal, rather than further salt accumulation. In general, the objective of remediation is to remove enough salts from the plant root zone for at least halophilic plants to survive and produce. Saline soils can be remediated through a combination of irrigation and drainage. A soil’s salt content can usually be reduced if subsurface drainage is possible. In some cases, the ground water is deep enough and the soil subsurface is permeable enough to simply flood the soil with enough water to move the salts out of the root zone. If subsurface drainage is not possible, some type of artificial subsurface drainage will be necessary. The latter is usually an expensive option. On a small scale, raised beds can be constructed with underlying porous materials for drainage. On a larger scale, it may be possible to cut surface drains deep enough to intersect a shallow water table, and thereby remove the excess salts. In any case, an abundant supply of water is needed. Table 1 provides estimates of quantities needed. As an example, let us say we want to reduce a soil’s electrical conductivity (EC) from 8 to 4 millimhos/cm. This represents a 50 percent reduction in salts, requiring the application of 15 centimeters of water that is low in salts. This “15 cm” amount refers to the depth of water needed. As illustrated in Box 1 below, the actual volume of water needed depends on the area of land over which the water is being applied. Box 1 below illustrates how to calculate the amount of water to remove 50% of the salts from a one-meter by one-meter plot of soil. Box 1. How to calculate the volume of water needed to remove 50% of the salts from a one-meter by one-meter plot of soil. Since 1 milliliter is equal to 1 cubic centimeter, it is easiest to work in centimeters. We already know that it takes 15 cm of water to remove 50% of the salts in the soil. This is the same as 150,000 ml. As there are 1000 ml in a liter, divide 150,000 ml by 1000 to obtain 150 liters. Thus, it takes 150 liters to apply 15 cm of water on 1 square meter of land. On a larger scale, 1.5 million liters of water would be required for the same degree of remediation of one hectare (150 liters per square meter X 10,000 square meters per hectare). Recognize that, as the salt content of the water increases, the volume of water required increases accordingly. Obviously, then, the goal should be to simply remove enough salts to allow the desired plants to grow and produce a crop. 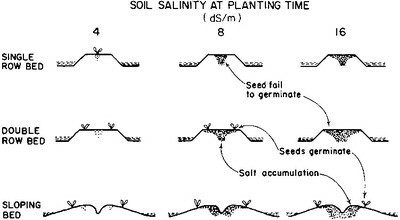 To know whether or not an application of water has removed enough salts to grow that crop, it is necessary to be able to measure soil salinity (as explained later in this document). Leaching to reclaim soils is more feasible on soils that drain well, versus high-clay soils that limit water infiltration. Sodic soils: Remediation of sodic soils is a more difficult process. In these soils, excess salts have already been removed, and the soil has developed a high SAR. Sodium has replaced most or all of several nutrients (such as calcium and magnesium) that are needed for plant growth. The soil will usually attain an alkaline nature with pH equal to or greater than 9.0, and the subsoil will become dense and impermeable. If the soil has not become completely impermeable, and at least a small amount of water percolation can be achieved, it is usually possible to remediate these soils. The process must include replacement of the sodium by calcium. Calcium serves as a needed plant nutrient and causes soil particles to aggregate, opening the soil and increasing permeability. Usually, gypsum (calcium sulfate dihydrate, CaSO4·2H2O) is used as the calcium source. Sodium in the soil is replaced by the calcium and leached as sodium sulfate (Na2SO4). The sulfate also reduces the alkalinity of the soil. The amount of gypsum required depends on the amount of sodium in the soil (see Box 2 for a sample calculation). Do not add a calcium source like gypsum to a saline soil that is not sodic, as the extra calcium will only worsen the salinity condition. Box 2. A sample calculation to determine the gypsum requirement of a sodic soil. (Adapted from a Colorado State University Extension Fact Sheet by Davis et al. 2007). Cation exchange capacity (CEC) = 18 centimoles of charge per kilogram (cmolc/kg) of soil (or 18 milliequivalents/100 gram). Assume that SAR is the same as exchangeable sodium percentage (ESP), meaning that the initial ESP is 26%. Also assume that, to amend the top 30 cm of a hectare (ha) of soil, 3.81 metric tonnes of pure gypsum is required to replace each cmolc of exchangeable sodium present per kg of soil. Determine how much exchangeable sodium must be replaced with calcium. Now determine how many cmolc sodium per kg of soil need to be replaced. We already know that 1 kg of our soil has 18 cmolc CEC, and that we want to replace 16% of exchangeable sodium with calcium. NOTE: According to Hanson (1993), about 1 acre-foot of water dissolves 1 ton of gypsum; this is equivalent to 1,359,957 liters of water needed to dissolve 1 metric tonne of gypsum. Because of their poor permeability, renovation of sodic soils is a slow process. It can sometimes be sped up by incorporating organic matter and otherwise loosening the root zone. The subsoil remains slowly permeable, however, so care must be taken not to waterlog the root zone. Qureshi and Barrett-Lennard (1998) indicated that farmyard manure is especially beneficial as it improves soil physical structure while providing nutrients for plants. They also found that Press Mud from sugar mills is another excellent source of organic matter for improving the physical condition of soil. Press mud contains sulfur, which helps to acidify the soil. Ideally, a management program would lead to the reclamation of the soil as described above. Practically, this might not be economically feasible, or it may be impossible to obtain the necessary inputs. Fortunately, a variety of techniques have been developed to remove salts from the vicinity of the roots, enabling crops to be grown in salty soils. Some ideas are shared below; Qureshi and Barrett-Lennard’s (1998) book is recommended for a more detailed discussion on management of saline and sodic soils. Raised bed culture: Raised beds can help minimize the effects of salty soil. Though labor-intensive to construct and not really feasible for large scale production, they may be an ideal solution for a small-scale kitchen or market garden. Soil for the bed can be chosen from any source; use the lowest salt content soil that is available, and mix it well with animal manure or other organic material. If the soils of the area are saline, be sure to isolate the bed from the underlying soil in some manner to break capillary continuity, so that salts will not migrate from the underlying soil into the bed. A division could be made by placing a layer of coarse gravel or tree branches and brush between the bed soil and the underlying soil. The bed should be overwatered periodically, to leach out any accumulation of salts contained in irrigation water. This should only be done during a fallow period because, once capillarity is disrupted, the soil above will have to be saturated before water will move into the more open pores of the underlying material. Devkota et al. (2015) pointed out that surface mulch on raised beds reduces evaporation, thereby reducing salt deposition on the top of raised beds. Root zone salt control: Plants can be strategically placed to minimize salt concentrations near the roots. One possible method is illustrated in Figure 1. When using flood irrigation on non-saline soils, it is common to plant the crop atop a ridge, which remains unsaturated while water is moving through a furrow. However, this is reversed when flood irrigating a saline soil. Capillarity causes the water to move from the furrow to the ridge, where it then evaporates and deposits the salts it is carrying. In this manner, soil salt content in the furrow is decreased, so this is where the crop is planted. Placing seeds in this zone of lower salt concentration helps seed germination, which is commonly very sensitive to soil salt content. The disadvantage of this method is that, during and immediately after irrigation, the soil in the furrow will be saturated with water.While some plants can withstand short periods of saturation, others cannot. Seeds and young plants can be especially susceptible to waterlogging. To solve this problem, the furrow irrigation method can be modified by planting the seeds in single/double rows on the edge of the ridge or on sloping ridge sides. The exact design will depend on seedling sensitivity and soil salt content. Figure 2 presents three designs that can be used in areas of increasing salt content. As illustrated, seeds will sprout only when they are placed so as to avoid excessive salt build-up around them. raised-bed approach to minimizing root exposure to high salts. Devkota et al. (2015) tested a strategy of irrigating alternate furrows to "push" salts from the irrigated side of a furrow (where the plants are) to the dry, non-planted side of each bed (Figure 3). In this approach, every other furrow is normally kept dry (no irrigation applied); however, the "dry" furrows can be irrigated infrequently, when it becomes necessary to leach salts that have accumulated on the dry sides of the beds. Surface scraping: In saline soils, the salts will usually accumulate at the surface during high-evaporation periods. If the accumulation is sufficient to form salt crusts, soil salt content can be reduced simply by removing the crust. This method does have some disadvantages, however. In removing the crust, some plant nutrients will also be removed, so regular removal without nutrient replenishment decreases soil fertility. Disposal of the crust material can also be a problem, as the salts will contaminate the area on which they are placed and can further increase salinity of underlying ground water and nearby surface water supplies. The previous section shared ways to decrease the soil salt content sufficiently to grow desired crops. Another approach is to plant crops that can successfully grow and produce in high salt soils. Every plant species and variety grows best within a range of soil moisture, fertility, sunlight, potentially toxic materials, and salinity. Understanding these parameters, and the requirements for a given crop, is important for both soil management and crop choice. Halophytes: A few plant species (called halophytes) actually grow best in saline conditions. Some have suggested that halophytes with economic value could even be used to reverse the salinization process and reclaim soil where management techniques are not feasible (Diatta et al. 2000). Rao and Shahid (2007) noted that quinoa (Chenopodium quinoa Willd. ), for example, can germinate in a mixture of 1/3 seawater and 2/3 fresh water. They also reported that it can be grown in sand under extremely dry conditions, with as little as 200 mm rainfall. Native to the Andes Mountains of Bolivia, Chile and Peru, quinoa is one of the few crops grown in the salt beds of southern Bolivia and northern Chile. Quinoa seed is a highly nutritious food, with protein content and quality that often exceeds that of better-known cereal grains. Another noteworthy halophyte is a perennial, low-growing shrub commonly referred to as saltwort (Batis maritima L.; Figure 4). Found mainly along tropical and subtropical coastlines of the Americas, saltwort grows well in salty or brackish (mix of salt and fresh water) marshes and lagoons around shorelines (CABI datasheet). Though considered an invasive weed in Hawaii, it has been grown to reclaim saline coastal areas where few other plants will grow. Saltwort covers and protects exposed soil from erosion, serving as a pioneer crop that helps re-establish mangroves destroyed by storms. The edible seeds are a rich source of healthy protein and oil (Marcon 2003). 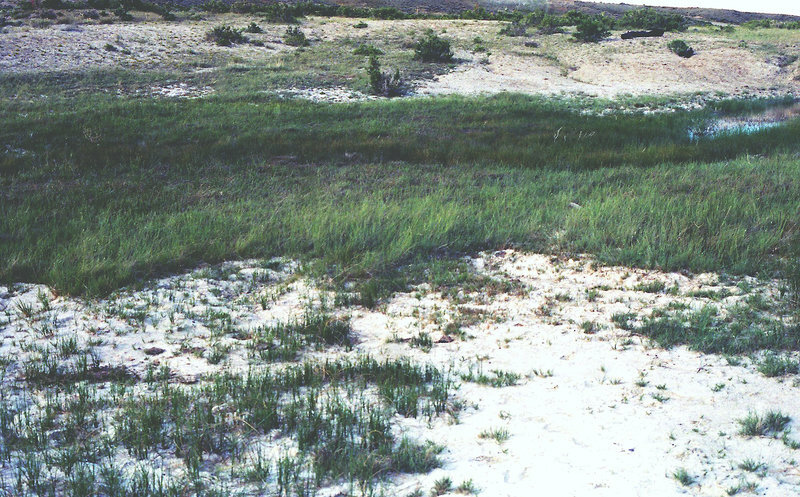 Salt grasses (Distichlis species such as spicata) could also be used for soil reclamation, since they tend to accumulate the salts on the leaf surface. Discovery of a “photohalosynthesis” concept (Biel and Yensen 2006), involving the storage of energy without chlorophyll, could be an incentive for plant geneticists to develop lines with increased efficiency in salt accumulation. Use of such grasses could render a marginally productive soil into a fertile, aerated soil. Distichlis spicata is also used as a forage for livestock (Lymbery et al. 2013). Field crops: Crop plants differ a great deal in their abilities to survive and yield satisfactorily when grown in saline soils. Information on the relative tolerance of crops to a saline soil environment is important when planning cropping schedules for optimum returns. Sometimes farmers have to live with salinity problems; for example, saline water may be their only source of water for irrigation. In other situations, where good quality water is available for reclamation of saline soils, it can be economically advantageous to grow crops simultaneously with reclamation efforts (Abrol et al. 1988). Rice (Oryza sativa) is the most extensively grown grain crop wherever water is available. While rice is moderately sensitive to high salt content, growing it with a shallow layer of water on the field dilutes the soil salt, and any drainage through the soil removes salts from the root zone. Thus, rice will survive and produce in salt-affected soils where other equally sensitive plants will not. Rice is particularly well adapted for use on sodic soils, and is often used in reclamation (Abrol et al. 1988). The very low permeability of these soils is an advantage when growing rice, as the reduced water loss helps in maintaining water on the field. While the downward movement of water through the soil profile is minimized, some deep percolation still occurs, which reduces the SAR by removing exchangeable (unbound to soil particle surfaces) sodium from the surface soil. Also, under flooded conditions, soil pH tends to decline from the alkaline range to near-neutral (pH 7.0) This has been attributed, at least in part, to an increase in soil carbon dioxide (CO2) generated from the respiration of plant roots and microbial life. The movement of CO2 from the soil to the air is restricted by the layer of water over the soil, so it builds up in the soil, helping to reduce pH. Rice cultivation is also beneficial for reclamation of saline soils. Reclamation requires that the soluble salts from the profile be leached and drained, but good quality water is often scarce in arid regions. Leaching alone for prolonged periods is neither feasible nor justifiable, so rice—which is moderately salt tolerant---can be conveniently grown to gain the benefit of a crop while reclaiming the soil. Even on soils with low infiltration rates, enough water (100 to 200 mm in a single season) moves through the soil to leach salts. Where salt intrusion is an issue, such as coastal areas impacted by hurricanes, even rice is difficult to grow. Scientists at the International Rice Research Institute (IRRI; www.irri.org) have developed and released salt-tolerant rice varieties that may be available in some countries. Grain sorghum (Sorghum spp.) is moderately tolerant of salts and will produce well on dry sites. It is one of the most important grain crops of the world, especially in Africa. It will likely be familiar to subsistence farmers in drought-prone tropical regions. The genus contains several species of grain sorghum, suited for climates and tastes in various arid areas of the tropics. Millet is a name given to a variety of plants, the most common ones being Pennisetum glaucum (pearl millet), Setaria italica (foxtail millet), Panicum miliaceum (proso millet), and Eleusine coracana (finger millet). All are moderately tolerant to salts and will produce well in arid areas. Wheat (Triticum spp.) is also tolerant to salts, but requires somewhat more water for production. Semiarid areas are perhaps more suited for this grain crop. Durham wheat (T. durham) is probably the most salt tolerant of the group. Barley (Hordeum vulgare) is quite tolerant of high salt concentration and does not need a large quantity of water. As it grows best under cool conditions, it is not ideal for the tropics, except at high altitudes. 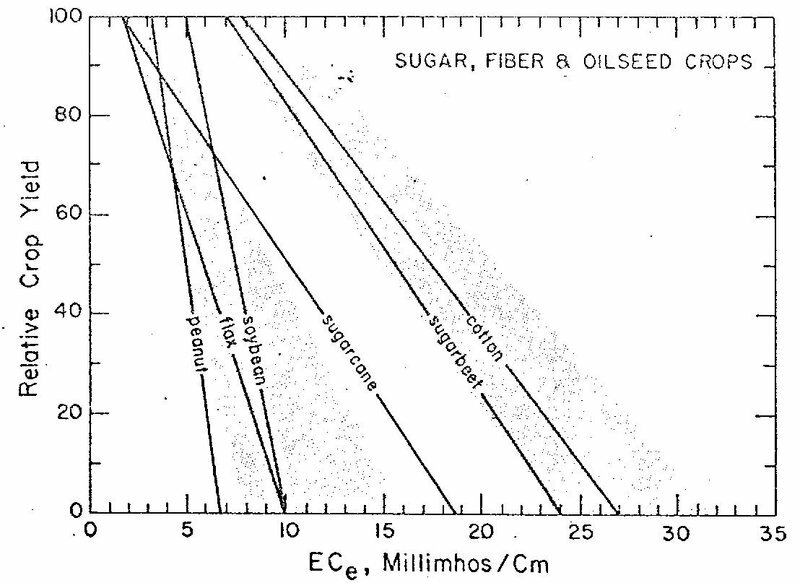 Figure 5: Tolerance of salinity by various grain crops. Although any of these grains can be considered for growth on salt-affected soils, tolerance to saline or sodic conditions is not a fixed property. It will vary with the growth state of a plant, as well as climatic conditions. Tolerance can also vary within the same species. Equally important, the slope of a response relationship (in this case, decrease in yield as salinity increases) will differ for various plants. In a few cases, such as salt-sensitive peanut and soybean (Figure 5), the falloff in yield with increasing salinity is very rapid. Conversely, with increasing salinity, the productivity of sugarcane falls off less rapidly than soybean, even though yield begins to decline at a lower level of salinity for sugarcane than soybean. Tables 2 and 3 show the soil salinity level at which stress on various plants begins to cause decreased yield. They also indicate the rate at which the yield of a crop declines with further increases in salinity. As can be seen, the relationship varies widely with the different crops. While several field crops are tolerant or moderately tolerant to soil salinity levels, the same is not true of vegetables. Very few of the plants normally grown in a kitchen garden are even moderately tolerant to elevated salinity levels. As previously indicated, however, vegetable culture is well suited to the use of raised beds, the soils in which are more readily improved by organic matter incorporation as well as removal of salts through leaching. Table 2: Salt tolerance of various field and vegetable crops (Maas and Grattan 1999). * assumes 15-20% leaching fraction; adapted from Maas and Hoffman (1977) and Maas (1984b) [found in: Ayers and Westcot. 1994. Water Quality for Agriculture, Irrigation and Drainage Paper 29, rev. 1, Food and Agriculture Organization of the United Nations, Rome]. Table 3: Relative salt tolerance of vegetables (Maynard et al. 1997; Maas 1984a). Forages: Most subsistence farmers have at least a few animals, for which forages will need to be grown. As already noted, both the millets and the Sorghum genus are tolerant of high salt content soils, and several species are well suited as forages. Screening of 42 pearl millet varieties and 49 sorghum varieties showed a wide variability in resistance to effects of high salinity (15 dS/m EC). There was an approximately 200% difference in dry weight between the least and most sensitive pearl millet varieties, and an approximately 700% difference between the least and most sensitive sorghum varieties (ICRISAT 2002). As noted by Abrol et al. (1988), grasses generally are more tolerant of sodic conditions than most field crops. 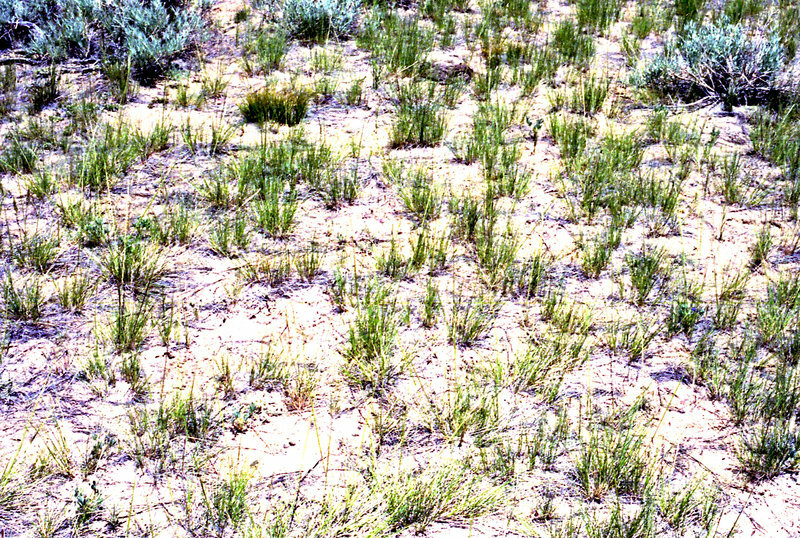 Karnal grass (Diplachne fusca), Rhodes grass (Chloris gayana), and para grass (Brachiaria mutica) are highly tolerant of sodic soils. Karnal grass grows and yields extremely well in very sodic (ESP of 80 to 90) soil, even when no amendment is applied. Rhodes grass also yields very well. In addition, Karnal grass and para grass are highly tolerant to ponded water conditions, which are typical on sodic soils during the rainy season and after irrigation. When grasses are grown on sodic soils, there is a continuous decrease in soil sodicity with time, and an improvement in soil physical properties due to the biological action of grass roots. Thus, in addition to providing much-needed forage, growing tolerant grasses improves soils through increased absorption of rain water, reduced runoff and less soil loss due to erosion. 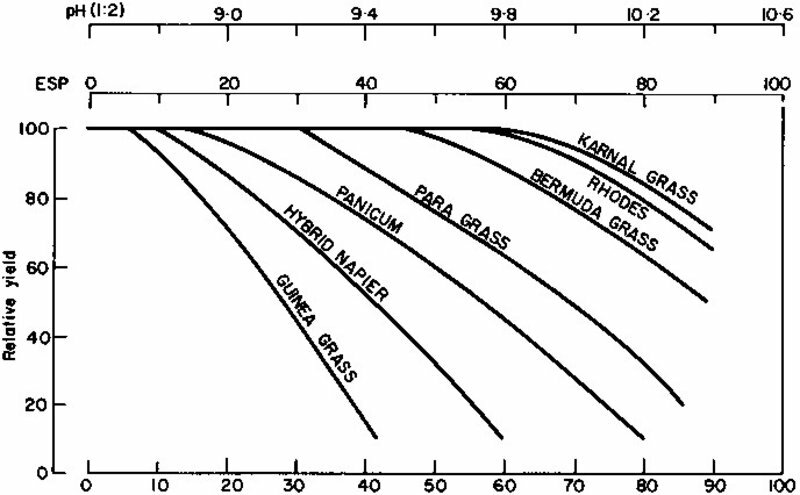 Figure 6 depicts the relative tolerance to exchangeable sodium of a few selected grasses. A research-grade laboratory bench meter equipped with an electrode for measuring EC. An inexpensive portable ohm/volt multimeter. In terms of cost, a research-grade bench EC meter is the most expensive (over 400USD) option. 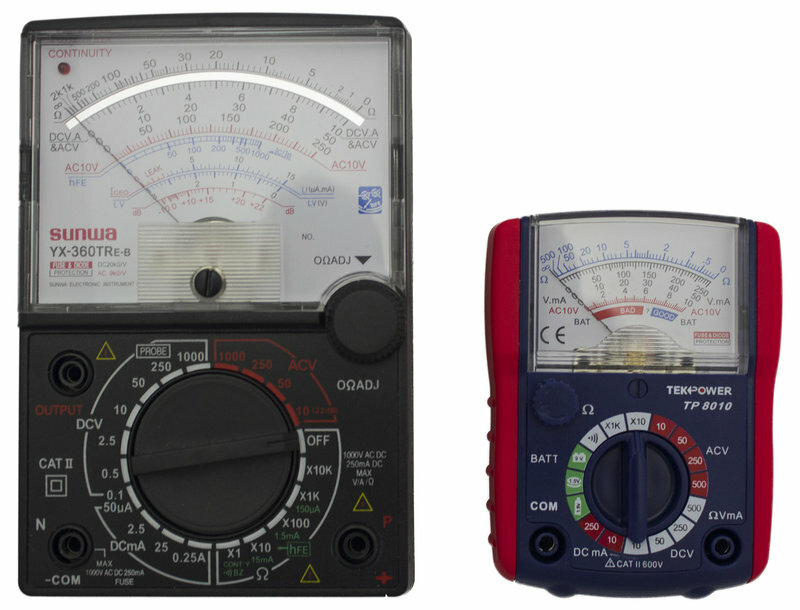 Hand-held EC/TDS meters and ohm/volt multimeters can be purchased for 25USD or even less. Though less accurate than EC/TDS meters, ohm/volt multimeters are probably the most readily available in areas where most small-scale farmers live. Soil sample collection: Since seedlings are most sensitive to salt injury, try to collect soil from the depth at which the seed will be planted. Do not include any surface salt crust that might be present. In most “salty” soils, the sample will be loose, but crush any aggregates or clumps of clay. Place the soil in a clean, dry, non-metal (e.g. plastic, glass, or ceramic) container. Add salt-free water until you can see water shining on the surface, but not over the surface. Distilled water is best, but rainwater is acceptable. It may be necessary to add a bit more water after the soil has absorbed the initial moisture. You have created a saturated soil condition. After a short equilibration period – soluble salts do not take long to dissolve, so 10 minutes should be enough – measure the soil conductivity. Certain portable EC meters (e.g. Field Scout) are designed to take readings directly in water-saturated soil (Scoggins and Iersel 2006), but these are quite expensive. Ohm/volt multimeters are much cheaper, and the probe tips can be inserted directly into the soil. Regardless of the meter, be sure to take measurements in saturated or nearly saturated soil, as EC in a non-saturated soil can be more of a reflection of soil moisture than soluble salts. This is because moist soil conducts electricity better than dry soil. When measuring salinity directly in the field or garden, pour salt-free water on to the soil and then insert the meter probe into the moistened soil. Figure 8: Needle resting on infinity with meter not in use or in the off position. The zero adjuster, as shown by the arrow, can be turned to adjust the needle position. Given the low cost and availability of ohm/volt multimeters, we (Tim Motis and Bob Harter) tested how well an ordinary multimeter measured salinity. We found that it works fine for assessing whether the salinity of a soil is low or high. In our experience, analog meters are easier to work with than digital ones. The ohms settings on analog meters lend themselves well to converting ohms to EC, and digital meters sometimes failed to register a reading with the leads placed in liquid or moist soil. Select an analog meter with a “X10” ohm setting and the widest screen possible. Smaller meters with narrow screens can also work, but the numbers are closely spaced and more difficult to read. Figure 9: Probe leads connected to the meter set at X10 ohms. Step 1: Prepare the meter for use. Make sure the battery inside the meter is fresh, as accuracy is reduced with depleted batteries. Some meters have more than one battery. With the meter off or not in use, ensure that the needle rests on the infinity mark (∞) on the left side of the scale (Figure 8). If it does not, use a flat screw driver to gently turn the zero adjuster screw to move the pointer to the infinity mark. This adjustment should not need to be made very often. Ensure that the probe leads are clean (no corrosion on the tips) and connect them to the meter. 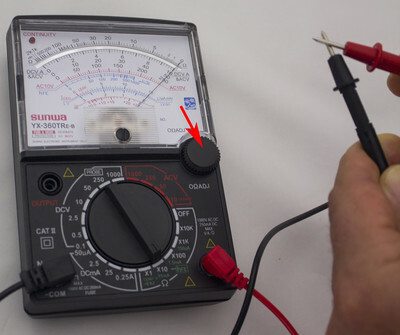 Do this by inserting the red lead into the positive socket on the meter, and the black lead into the negative (sometimes labeled as COM) socket (Figure 9). Figure 10: Needle set to zero (right) by turning the zero control knob (see arrow) while touching the red and black lead tips together. Step 2: Set the multimeter on resistance, as shown by the symbol for ohms, Ω. 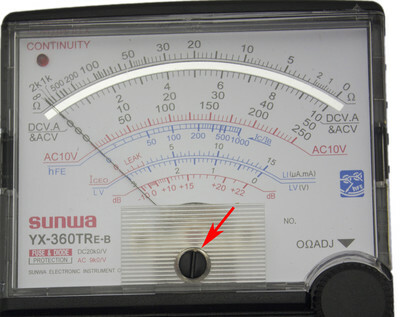 Turn the meter dial to select “X10” ohms (Figure 9). Step 3: Zero the meter by touching the tips of the red and black leads together (Figure 10). With the lead tips touching, turn the zero control knob until the needle rests on zero, on the right side of the scale. Figure 11: Reading being taken with an ohm/volt multimeter. Step 4: Take a reading by placing the probe tips about 1 cm apart in the saturated soil sample (Figure 11). Exact distance between the tips is not critical, as in a saturated soil EC only minimally varies with space between the probes. Note the number on the ohms scale (typically located at the top of the display) indicated by the needle (Figure 12). With the meter set at X10, the number of ohms indicated on the meter scale must be multiplied by 10. For instance, if at X10 the needle rests on 100 on the ohms scale, the actual number of ohms is 100 X 10 or 1000. Step 5: Convert the measured resistance (ohms) reading to conductance by first calculating the inverse of ohms. Continuing the example above, the inverse of 1000 ohms is 1/1000. Thus, 1000 ohms is equivalent to 0.001 mhos. Since the leads are held 1 cm apart, assume that the measurement is actually mhos/cm. Multiply mhos/cm by 1000 to convert to dS/m. A measurement of 0.001 mhos, then, is equivalent to 0.001 X 1000 or 1 dS/m. See Table 4 for a listing of ohms increments on a multimeter, with resistance (ohms) already converted to conductivity (mhos, µS, or dS) units. What do resistance readings with an ohm meter mean? Table shows a range of resistance values displayed on many ohm/volt meters. For each resistance value shown, corresponding conductivity values are given. Notice that the higher the resistance, the lower the conductivity. This means that, on an ohm/volt meter set to X10 ohms, salinity is probably very minimal if the needle rests at a resistance value of 1k (1000 ohms) or higher (towards the left, approaching infinity). If the needle rests on an ohms value of 50 or less, salinity could be limiting for most of the vegetables described in Table 3 as being moderately sensitive. Table 4. Resistance units (ohms) on an analog ohm/volt meter converted to mhos (inverse of ohms) and electrical conductivity (EC) units (micro Siemens/cm [µS/cm] and deci Siemens/m [dS/m]) commonly used to indicate the salinity of irrigation water or soil. Note that 1 dS/m is the same as 1 millimho/cm. Soil salinity range at which moderately sensitive crops like tomato will grow with no yield loss. **Moderately tolerant crops such as squash can tolerate up to 4.7 dS/m with no yield loss. Few vegetables would tolerate above 5 dS/m of soil salinity without at least some yield loss. Seawater has a salinity of over 40 dS/m. 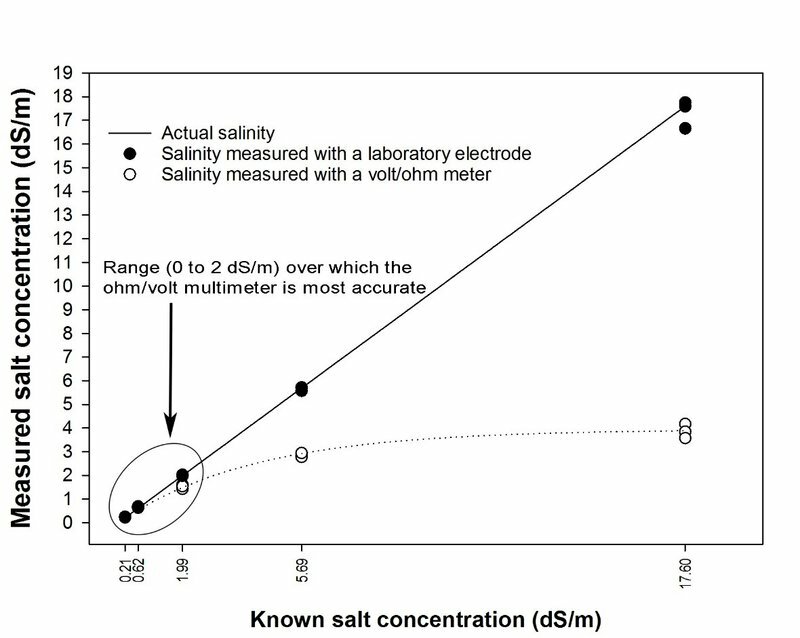 Figure 13: Accuracy of salinity measurements, with increasing known salt concentrations, using an analog ohm/volt multimeter versus a laboratory EC meter. Measured and known salt concentrations are expressed as electrical conductivity [EC] in deci Siemens/meter [dS/m]). Electrical conductivity (EC) of each of five sodium chloride solutions (with known salt concentrations) was measured five times with each meter. 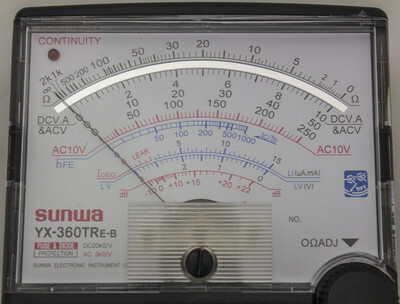 To measure EC with the ohm/volt meter, an analog multimeter was set to X10 ohms, with the resulting resistance (ohms) value multiplied by 10 and then converted to dS/m. 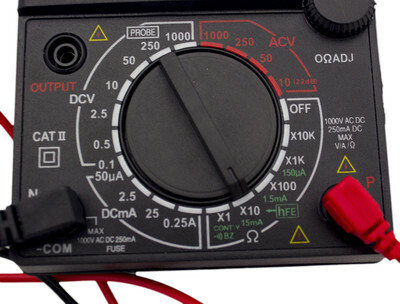 How accurate is an ohm/volt multimeter? To test the accuracy of our ohm/volt multimeter, we added sodium chloride (Morton’s Canning and Pickling Salt) to deionized water to prepare solutions with known salt concentrations. We then measured the salinity of those solutions with a laboratory EC meter (Hanna Instruments [HI3512-01]) and a multimeter (Sunwa YX-360TRE-B). Results are shown in Figure 13. Note that, as the known concentration of salinity increased, the accuracy of the multimeter declined. 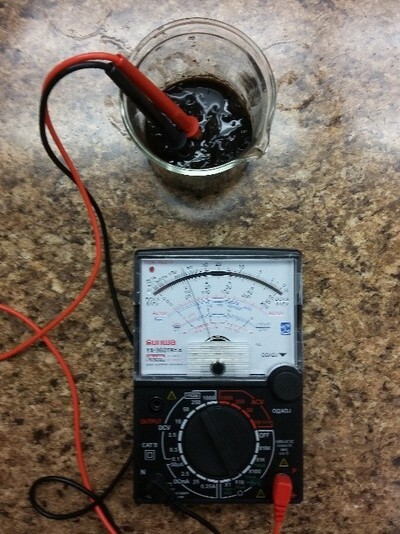 A multimeter tends to underestimate salinity at higher salt concentrations due to the influence of direct current (used by the multimeter) on the ions in solution. By contrast, the EC meter uses alternating current. Nevertheless, up to about 2 dS/m, readings with the multimeter used in the experiment compared quite well to those taken with a laboratory EC meter. Results showed that a multimeter may be useful in determining whether the salinity of a soil is low or high for most vegetables. Step 1: Weigh 20 g of air-dried soil and place it in a clean, non-metal container. Step 2: Add 20 milliliters (ml) of distilled or deionized water to the soil, resulting in a solution that is 1 part soil and 1 part water. Some protocols call for solution that is 1 part soil and 2 parts water, in which case you would add 40 ml of water. Step 3: Mix the soil with the water. This can be done by covering the lid of the container and shaking the contents. Step 4: Pour the water through a piece of filter paper (e.g. coffee filter paper). The water that passes through should be mostly clear. Step 5: Place the sensor probe of the meter into the filtered water and record the reading. Step 6: Consult guides, such as Table 5 shown earlier, to assess the salinity indicated by your reading. It may be necessary to convert mg/L (ppm) or µS/cm to dS/m, depending on the units shown in the table you are using to interpret results. Excess salts in the soil constrain crop growth by interfering with water uptake. This problem is most common to dry regions, but also exists in coastal areas affected by salt intrusion. Understanding the underlying causes of saline and sodic conditions, as explained in this technical note, helps farmers select practices that can enable them to continue producing food crops on salt-affected soils. Practices that can be implemented most easily by farmers, even if they do not have access to salt-free water, include 1) planting salt-tolerant crops and 2) placing seeds in furrows or raised beds to avoid salt build-up around the seeds and rooting zone of resulting plants. If you think your soil might be saline but are unsure, follow a few simple steps to collect a soil sample that can be used to assess the salinity. Salinity-measuring devices vary in accuracy and cost. An inexpensive and commonly available ohm/volt multimeter can give a rough idea of whether salts in a given soil are low or high for more sensitive crops like vegetables. The appendix and references sections below are useful for more in-depth study. Much of the literature referenced in the bibliography section of this document can be found on the Internet. Electrical conductivity (EC): Conductivity of electricity through water or an extract of soil. In salt-affected soils, EC is normally measured in a saturation extract (soil sample saturated with water). Evapotranspiration: The sum of direct water loss from soil surfaces (through evaporation) and from plants (through transpiration). Exchangeable sodium percentage: The percentage of exchangeable cations made up of exchangeable sodium. Halomorphic soil: (Not used in U.S. system of soil taxonomy.) A suborder of the intrazonal soil order, consisting of saline and sodic soils formed under imperfect drainage in arid regions and including Solonchak (or Saline), Solonetz, and Soloth soil groups. Halophilic: Literally, salt loving. This term, as related to soils, is normally used to describe plants which grow in locations too high in sodium for any non-halophilic plant to survive. Typically, halophilic plants will either exude or isolate the sodium within the plant. This gives them a typically salty taste. Osmotic pressure: Salts will tend to diffuse from an area of high concentration to an area of low concentration until the two are equalized. However, when a semipermeable membrane, such as a cell wall, is inserted between areas of high and low salt concentration, the process reverses. Since the salts cannot move across the membrane, water will diffuse from the area of low concentration to the area of high concentration. Osmotic pressure controls the amount of movement across the membrane. Press Mud: A solid waste obtained from sugar mills. It contains 1.2% N, 2.1-2.4% P2O5, 2.0% K2O, 238-288 ppm Zn and 112-132 ppm Cu. Salt-affected soil: Soil that has accumulated enough salts and/or exchangeable sodium to adversely affect the growth of most crop plants. Saline soil: Soil containing sufficient soluble salt to adversely affect the growth of most crop plants. EC of a soil saturation extract is 4 dS/m or greater, pH is between 7.5 and 8.5, and SAR is less than 13. Actually, sensitive plants are affected at half this salinity, and highly tolerant ones at about twice this salinity. A white crust commonly forms on top of saline soils during the driest months of the year, and they are often referred to as ‘white alkali’ soils. However, the structure of the soil is not adversely affected. The soil remains permeable and has good drainage characteristics. Saline-alkali soil: (no longer used by U.S soil scientists) (i) Soil containing sufficient exchangeable sodium to interfere with the growth of most crop plants and containing appreciable quantities of soluble salts. The exchangeable-sodium percentage is greater than 15, the conductivity of the soil saturation extract is greater than 4 dS/m (at 25°C), and the pH is usually 8.5 or less in the saturated soil. (ii) Saline-alkali soil has a combination of harmful quantities of salts and either a high alkalinity or high content of exchangeable sodium, or both. These are distributed in the profile such that the growth of most crop plants is reduced. Saline seep: Intermittent or continuous saline water discharge at or near the soil surface under dryland conditions, which reduces or eliminates crop growth. It is differentiated from other saline soil conditions by recent and local origin, shallow water table, saturated root zone, and sensitivity to cropping systems and precipitation. Saline-sodic soil: (no longer used by U.S soil scientists) This kind of soil has characteristics of both saline and sodic soils. It contains sufficient exchangeable sodium to interfere with the growth of most crop plants, and contains appreciable quantities of soluble salts. The exchangeable sodium ratio is greater than 0.15, the conductivity of the soil saturation extract is greater than 4 dS/m (at 25 °C), the pH is usually 8.5 or less in the saturated soil, and the SAR is greater than 13. Initially these soils may have good permeability, but their structure deteriorates and their hydraulic conductivity (describes how well water can pass through the soil) is reduced if they are reclaimed (leached) without amendments such as gypsum. Saturation extract: The solution extracted from a soil at its saturation water content (i.e. addition of any more water would cause free water to pool on the surface). Sodic soil: A non-saline soil containing sufficient exchangeable sodium to adversely affect crop production and soil structure under most conditions of soil and plant type. The SAR of the saturation extract is 13 or greater. EC values are less than 4 dS/m and pH values are greater than 8.5. These soils are often referred to as ‘black alkali’ soils. They have high exchangeable sodium concentrations and high pH, which dissolves the organic matter present in the soil and gives the soil a dark brown or black color. In these soils, soil structure has deteriorated, permeability has decreased, and root growth is restricted. The reclamation of sodic soils is comparatively difficult. Solum (plural: sola): A set of horizons/layers (A, E and B horizons) that have undergone the same cycle of soil-forming processes. Vertical cross section of soil. Abrol, I.P., J.S.P. Yadav, and F.I. Massoud. 1988. Salt-Affected Soils and their Management. FAO Soils Bulletin 39. Bernstein, L., Fireman, M. and Reeve, R.C. 1955. Control of salinity in the Imperial Valley, California. USDA, ARS 41-4, 14 p. (cited from Abrol et. al., 1988). Biel, Karl and Nicholas Yensen. 2006. Photohalosynthesis. Biosalinity News 7(1): 6-7. Bui, E.N., L. Krogh, R.S. Lavado, F.O. Nachtergaele, T. Tóth, and R.W. Fitzpatrick. 1998. Distribution of Sodic Soils: The World Scene. pp 19-33 in M.E. Sumner and R. Naidu (Ed) Sodic Soils; Distribution, properties, management, and environmental consequences. Oxford University Press, New York, NY. Davis, J.G., R.M. Waskom, T.A. Bauder and G.E. Cardon. 2007. Managing Sodic Soils. Colorado State University fact sheet no. 0.504. Devkota, M., R.K. Gupta, C. Martius, J.P.A. Lamers, K.P. Devkota, K.D. Sayre, and P.L.G. Vlek. 2015. 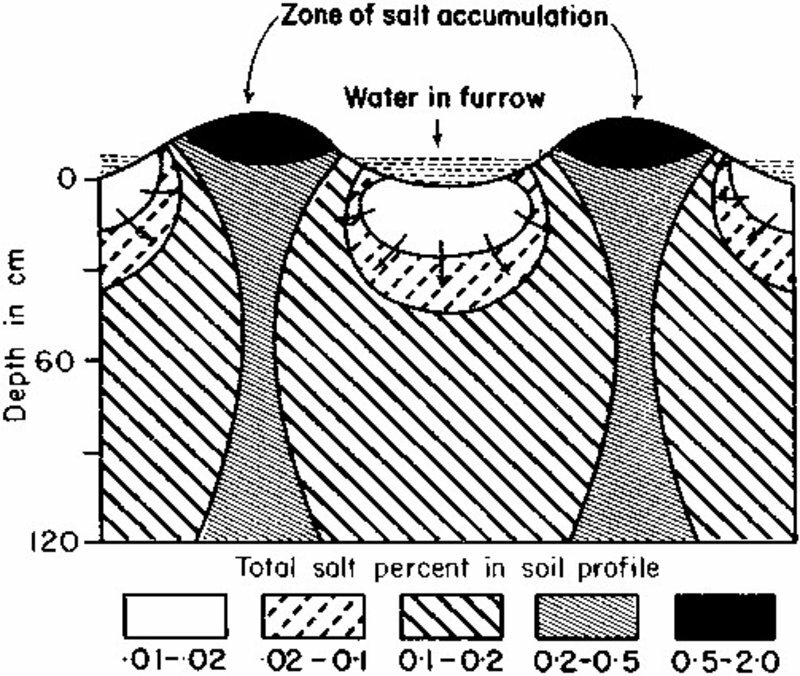 Soil salinity management on raised beds with different furrow irrigation modes in salt-affected lands. Agricultural Water Management 152:243-250. Diatta, M., M. Diack and Dov Pasternak. 2000. Bioreclamation of the acid saline soils in Senegal. IPALAC Annual Report. Epstein, E. 1976. Genetic potentials for solving problems of soil mineral stress: Adaptation of crops to salinity. pp.73-82. In M.J. Wright and S.A.; Ferrari. Plant adaptation to mineral stress in problem soils. Proc. Workshop at the National Agricultural Library, Beltsville, MD. Nov 22-23, 1976. Flugel, W.-A. 1991. River salination due to dryland agriculture in the Western Cape Province, Republic of South Africa. Sediment and Stream Water Quality in a Changing Environment: Trends and Explanation (Proceedings of the Vienna Symposium, August 1991) IAHS Publ no. 203. Ghassemi, F., A.J. Jakeman, and H.A. Nix. 1995. Salinisation of Land and Water Resources: Human Causes, Extent, Managment and Case Studies. CABI Publishing: Wallingford. Hanson, B. 1993. Reclaiming Sodic and Saline/Sodic Soils. Drought Tips Number 92-33. Huang, P.M., Y. Li, and M.E. Sumner. 2011. Handbook of Soil Sciences: Resource Management and Environmental Impacts, Second Edition (Taylor & Francis). ICRISAT. 2002. Project PMSO2 Screening and evaluation of salinity tolerance, growth, yield potential and forage quality of pearl millet and sorghum under field conditions. ICBA Annual Report (1422-1423H) pp. 20-24. Indorante, S.J. 2006. Sodium-affected soils in humid areas. pp 1606-1609. in R. Lal (Ed). Encyclopedia of Soil Science, 2nd Edition, Vol. 2. CRC Press. Lymbery, A.J., G.D. Kay, R.G. Doupé, G.J. Partridge, and H.C. Norman. 2013. The Potential of a salt-tolerant plant (Distichlis spicata Cv. NyPa Forage) to treat effluent from inland saline aquaculture and provide livestock feed on salt-affected farmland. Science of the Total Environment 445-446:192–201. Maas E.V. Crop tolerance. 1984a. California Agriculture, v.38, p.20-21. Maas E.V. 1984b. Salt tolerance of plants. In: The Handbook of Plant Science in Agriculture. B.R. Christie (ed). CRC Press, Boca Raton, Florida. Maas, E.V. and S.R. Grattan. 1999. Crop yields as affected by salinity. Chapter 3 in R.W. Skaggs and J. van Schilfgaarde (Ed.) Agricultural Drainage. Agron. Monogr. 38. American Society of Agronomy, Madison, WI. Maas, E.V. and G.J. Hoffman. 1976. Crop salt tolerance: Evaluation of existing data. International Salinity Conference. Texas Tech., Lubbock, Texas. 16-20 August. Maas E.V. and Hoffman G.J. 1977 Crop salt tolerance - Current assessment. J. Irrigation and Drainage Division, ASCE 103(IRZ): 115–134. Proceeding Paper 12993. Marcon M.F. 2003. 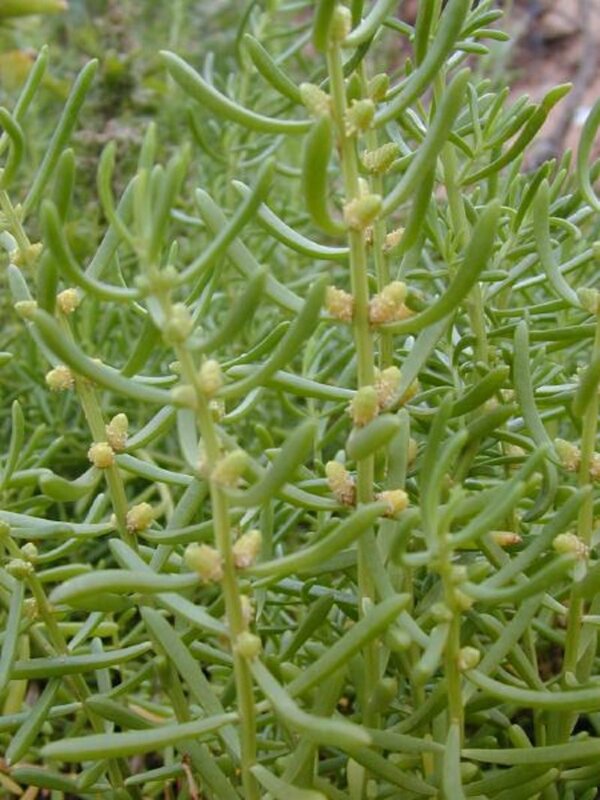 Batis maritima (saltwort/beachwort): a nutritious, halophytic, seed bearing, perennial shrub for cultivation and recovery of otherwise unproductive agricultural land affected by salinity. Food Research International 36:123-130. Maynard, D.N., G.J. Hochmuth, and J.E. Knott. 1997. Knott's Handbook for Vegetable Growers. Fourth edition. John Wiley. Murphy, B. 2006. Sodic soils: Formation and global distribution. pp 1589-1593. in R. Lal (Ed). Encyclopedia of Soil Science, 2nd Edition, Vol. 2. CRC Press. Qureshi, R.H. and E.G. Barrett-Lennard. 1998. Saline agriculture for irrigated land in Pakistan: A handbook. Australian Centre of International Agricultural Research, Canberra, Australia. 142 pp. Rao, N.K. and M. Shahid. 2007 Desert farming: The quest continues. Biosalinity News 8(1):6-7. Scoggins, H.L. and M.W. van Iersel. 2006. In Situ Probes for Measurement of Electrical Conductivity of Soilless Substrates: Effects of Temperature and Substrate Moisture Content. HortScience 41:210-214. Shahid, S.A. and A.Al-Shankiti. 2013. Sustainable food production in marginal lands---Case of GDLA member countries. International Soil and Water Conservation Research. 1:24-38. Steyl, G. and I. Dennis. 2010. Review of coastal area aquifers in Africa. Hydrogeology Journal 18:217-225. UNDP. 2011. A New Land Use Model: Forests Fruit Fish.